It's our fourth year supporting and sponsoring the Total Theatre & Jacksons Lane award for circus. I thought it might be timely to look back at what has changed since we began the award in 2014. So what happened? How come the Fringe now boldly proclaims circus as a genre in its own right? How come Assembly fills its main hall with juggling, there’s a field dedicated entirely to circus, and the word is proudly up there with every other art form in the programme? And how did the Total Theatre Awards come to approach us to sponsor the first ever circus award? And do I have an answer? Well, yes and no. There was no overnight revolution, no circus artists marching the streets brandishing Chinese poles while kids at school were forced to learn the diablo at detention. Not as far as I know, anyway. But what did happen was a steady momentum in the UK continued to grow and build, as it had been doing for many years. So... (deep breath) – this happened. Producers such as the much-acclaimed Crying Out Loud started to work more with British artists, whilst bringing the best of international work to our shores and building new audiences around the country. 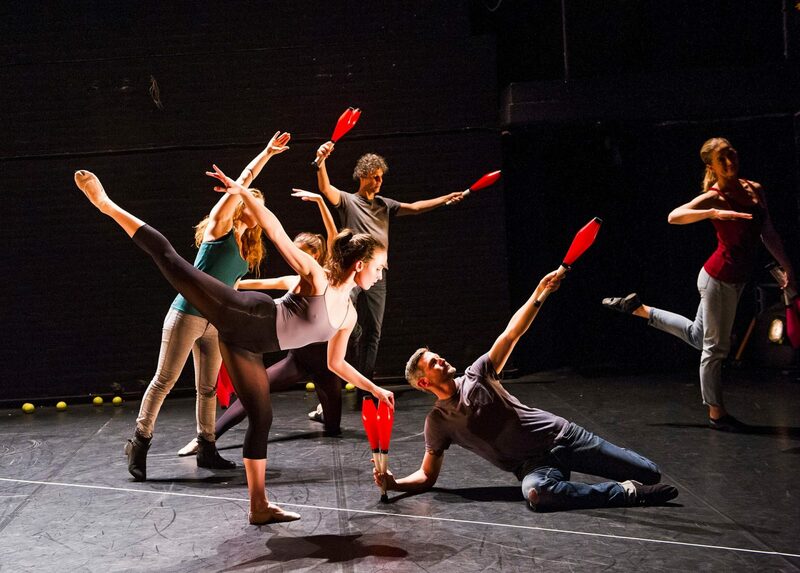 Juggling was made internationally relevant and exciting as never before by Gandini Juggling, a British company with a global ensemble reinventing themselves again and again – straddling the mainstream and the avant-garde seamlessly. Arts Council England increased their support for circus development and larger-scale strategic tours, while at its national briefings the word 'circus' finally appeared on banners and publications. Here at Jacksons Lane we started producing and touring in a big way, supporting over 100 circus artists each year, commissioning new work and developing emerging young companies. For our 40th birthday we produced two brand new works of national significance, toured circus to 25 cities and produced shows at the Fringe and in a Spiegeltent in the West End. We even began to produce circus at the Resolution Dance Festival and toured shows to green-field festivals like Shambala and Latitude. The Roundhouse expanded CircusFest to dedicate a whole month to larger scale international circus and enlarged its reach to include Jacksons Lane, the Albany, artsdepot and Shoreditch Town Hall. Audiences came in their thousands from all over the world. The London International Mime Festival stuck its graceful neck out and made circus a major part of its acclaimed festival, commissioning circus alongside its thrilling programme of mime and physical theatre. 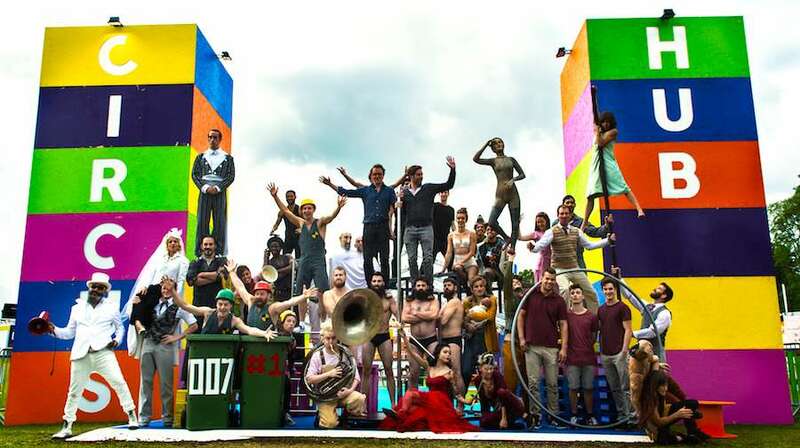 Through rigorous lobbying, Circus Space metamorphosised into the National Centre for Circus Arts and made the goverment recognise the organisation as having 'national' status, as more and more young artists graduated and formed their own companies – Barely Methodical Troupe and Silver Lining had huge hits at the Fringe, and graduate shows took place on the South Bank and nationwide. Underbelly expanded its circus programme with a twist on the talent show and built support for homegrown artists, as well as bringing more international work to the UK, announcing a dedicated 'hub' at the Edinburgh Fringe. Sadlers Wells continued to bring larger scale circus work to its central London base at the Peacock for longer runs of high quality productions. At an unprecedented scale work began to be programmed and produced outside London, with regional theatres supporting circus work, bigger scenes and companies evolving in Scotland and Wales, and NoFit State Circus consolidating its position as arguably our finest homegrown touring circus company. And our nationally recognised companies Upswing, Mimbre and Ockham's Razor continued to produce some of the most exciting, diverse and original work in the UK, flying the flag for British circus. All this has developed an insatiable appetite both from and for circus audiences. It’s now the norm for theatre- and performance-goers to take risks, welcome experimentation, introduce their friends and family to circus, engage in debate and feed in to the process of circus creation. At Jacksons Lane we don't sponsor the award for ego and recognition (well, maybe a little recognition), but to elevate the art form of circus, to build discussion, to get theatre and dance companies to collaborate and integrate with circus artists, to use circus as a theatrical medium to tell personal and political stories. I firmly believe it is the most thrilling art form on the planet, with limitless possibilities to captivate, educate and innovate. This is why we sponsor the award. Why am I in Helsinki? Jacksons Lane has been a creative and cultural hub for North London for 40 years and is officially the UK's leading supporter of contemporary circus.